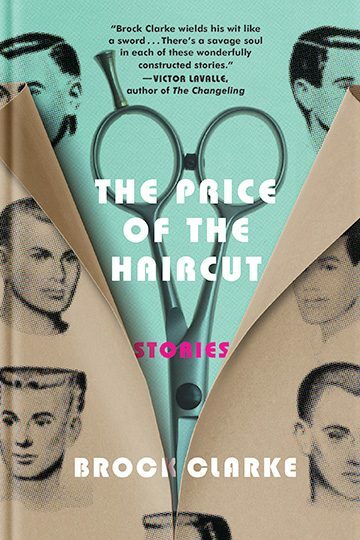 From an acclaimed and original writer comes a new collection of stories bursting with absurdist plot twists and laced with trenchant wit. Brock Clarke, author of An Arsonist’s Guide to Writers’ Homes in New England and Exley, among other novels, now offers up bite-sized morsels of his trademark social satire that will have readers laughing, and perhaps shifting uncomfortably in their seats. The title story delivers a cringingly biting dissection of racial attitudes in contemporary America, and Clarke also turns his eagle eye to subjects like PTSD, the fate of child actors, and, most especially, marital discord in stories like “Considering Lizzie Borden, Her Axe, My Wife” and “The Misunderstandings.” In “The Pity Palace,” a masterful study in self-absorption and self-delusion, a reclusive husband in Florence, Italy, who believes his wife has left him for a famous novelist, sells tickets to tourists anxious to meet someone more miserable than they. It’s a distinctly Clarkean world, in which readers find themselves reflected back with the distortion of funhouse mirrors—and swept up on a wild ride of heart-wrenching insight and self-discovery.